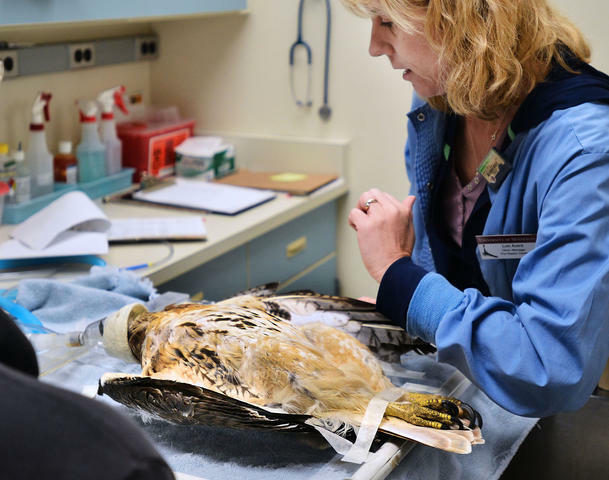 The Raptor Center was recently featured in a Minnesota Daily article on West Nile. Thanks for this blog. I've recently learned that virtually all pandemic virus incidents stem from (contamination by exposure to) migratory bird fowl, even though most of these viruses are not known as "bird flu". Thus, the importance of keeping our kids aware of the risks associated with dead birds is quite obvious. Further, there is apparently no clear way to predict future outbreaks of WNV owing to findings that random factors such as weather are key determinants. All quite scary stuff.